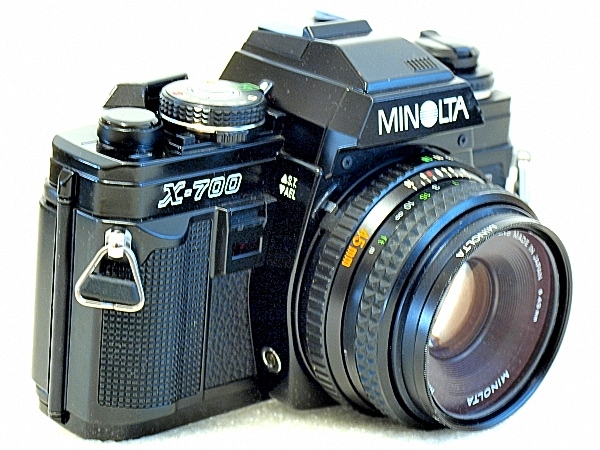 One of the most highly regarded 35mm Programmed AE SLR film cameras, the Minolta X-700 was the last manual focus camera body before the introduction of the autofocus the Maxxum 7000. 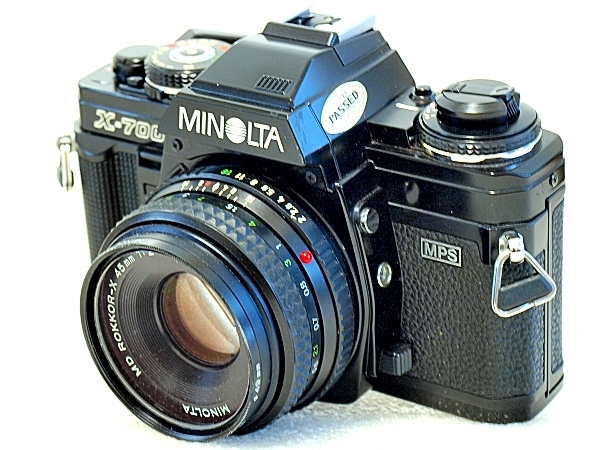 Introduced in 1981, the top-of-the-line model from Minolta was built on the base of, and featuring much of the same construction and design components of the well established X-series, but differentiates itself from the past with its Program auto-exposure mode. 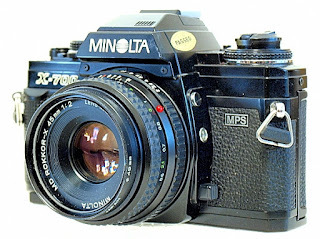 The model was the first for Minolta to offer features that are comparable to the likes of Canon’s AE-1 and A-1, which were then the favorites. 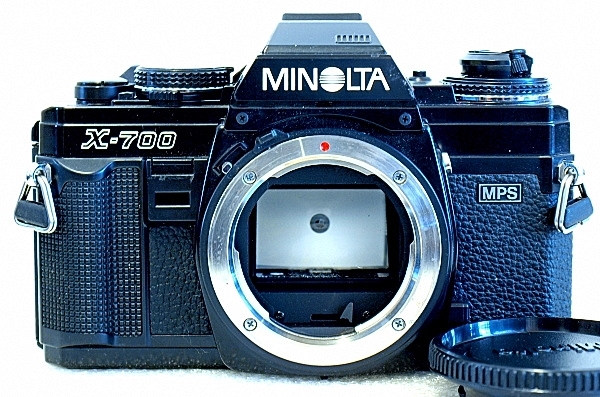 The camera was the best from Minolta, became an immediate success, won the European 'Camera of the Year' award, and went on to become Minolta’s best-selling camera, taking over from the previously equally successful SRT series. 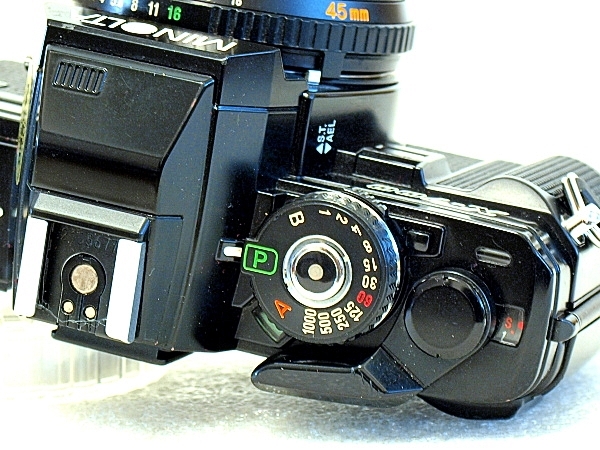 The core of the X-700's success was its Program auto-exposure mode, which came with an exceptional light-metering system, intelligent microcomputers, and step-less shutter speeds. 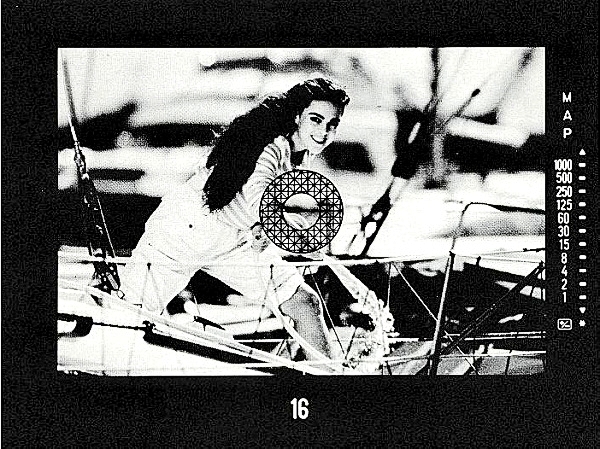 The camera took us back to the days of frame-and-shoot simplicity, with the guarantee of perfect exposures every time. It was the best of what Minolta has to offer then, and it was one of the best 35mm SLR cameras of that era. 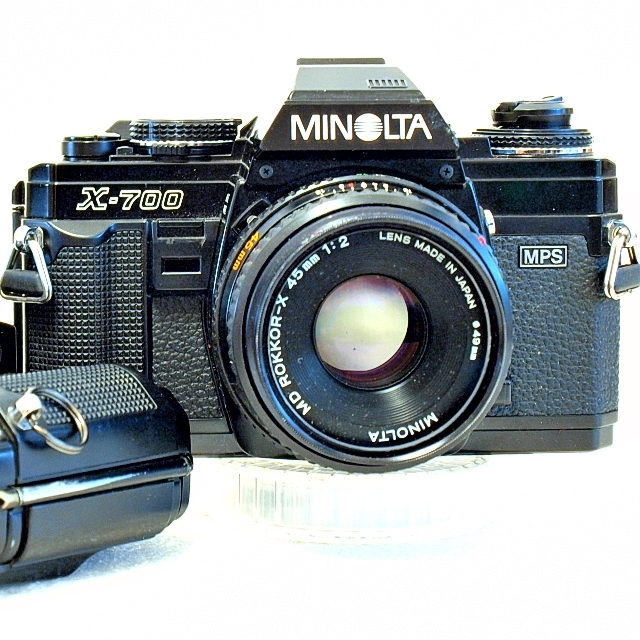 The Minolta X-700 is a Programmed AE and Aperture-Priority AE 35mm SLR film camera with an electrically controlled horizontal-traverse focal-plane shutter capable of a speed range from 4 to 1/1000 second, and B. Flash synchronization is at 1/60 second. Camera operation is switch controlled, the shutter release is two-step electromagnetic, metering is TTL (Through the Lens) center-weighted average, and film ISO speed range is 25 to 1600. The camera is also equipped with a switch selectable 10-second delay self-timer and DOF (Depth-of-Field) preview facilities. Exposure modes executable are Programmed AE, Aperture-Priority AE, Manual Exposure Override, and Direct Autoflash Metering with specific Minolta flash units (Auto Electroflash 280PX, 132PX, 360PX, and Macro 80PX Set). The camera accepts Minolta MD mount lenses with full-aperture metering, while MC and earlier version lenses are used in stopped-down metering. The standard focusing screen fresnel-field split-image/microprism rangefinder with 95% screen coverage and is interchangeable with eight other screen types. The camera's metering is powered by 2xSR44 of LR44 button cells, and body weight is 505 grams without lens or battery. Looking rather elegant and suave, the X-700 is normally available in black. You may, occasionally, come across very rare chrome versions of the X-700 which were produced only for the Japanese domestic market. The chrome units are the lesser of the two, and it does not come with the AE Lock button. 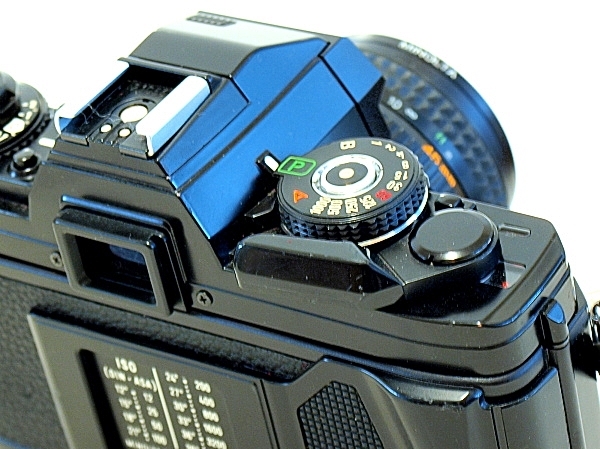 The front plane of the camera is a plain affair with the DoF (Depth of Field) preview button, sync terminal, and the lens release button located on the right vertical of the lens mount housing. On the left is the finger grip, the electronic self-timer, and AE lock/ self-timer switch set, and on the edge of the top plane, the camera main switch which is integrated with the shutter release/shutter speed and mode dial combination. On the far left of the top plate is the film rewind crank, which is also the pull-up film back latch, and is integrated with the pull-up and turn film ISO speed selector, and push button and rotate exposure compensation selector. On the right of the pentaprism is the main control of the camera, which is a combination of the Program, Aperture-Priority and shutter speed selector dial with a small push-button control; the On/Off switch with option for selecting silent or audible modes, and the electromagnetic shutter release button, which also activates the metering system when touched. The film advance crank, frame counter window and film safe-load indicator occupies the area towards the far right of the top plate. The back of the camera is plain except for the viewfinder eyepiece, sculptured finger grip, and the film tab holder located in the middle of the interchangeable hinge-type film back. The bottom plate of the camera carries the film rewind release, battery chamber cover, tripod socket, motor drive coupling, winder guide slots, and electrical contacts. The film box is a standard film-cartridge chamber, shutter window, film advance sprocket, and the multi-pin take-up spool. Film loading is the standard 2-blank shots to forward the film to frame 1. The Film Safe Load indicator will show a red indicator if the film is properly loaded. The viewfinder readout is a complete system information that lets you shoot in any of the shooting modes available. The 95% screen area is bounded by the direct aperture readout window located below the screen area, and on the right of the screen, a vertical shutter speed bar with red LED indicating the step-less shutter speed set by the camera both in Programmed AE and Aperture-Priority Mode, and the recommended shutter speed in full manual mode. Shutter speed setting, or recommended in full manual mode, are indicated by Red LEDs next to the numerical, and speeds are in between when two LEDs are lighted. Over- and under-exposures are indicated by LED arrowheads locate at both the top and lower ends of the shutter speed listing. Lined vertically on top of the shutter speed readout are the 'M' and 'A' LED indicators in Red to indicate that you are shooting in Manual or Aperture-Priority mode and a Green 'P' which light up when you are shooting in Programmed AE mode. An exposure compensation icon lits up in Red when the facility is in use. The icon is located lowest below the shutter speed listing. The ease of using the camera is, of course, the Programmed AE mode which is ideal for when all you want to do is compose, focus, and shoot. Set the camera mode selector to 'P' and the MD lens at its minimum aperture, the X-700 will select the best aperture and fastest practicable shutter speed to give you the perfect exposure. If you have the audible warning set to 'On', the camera will give out audible beeps if the shutter speed falls below the handheld threshold. If your preference is for DoF (Depth-of-Field) shots, use the X-700 in A mode. The camera will automatically set the step-less shutter speed to yield proper exposure for the aperture you set. Controlling the DoF, or for auto-exposure control can be done with virtually any Minolta SLR lens or accessory. To go into metered/full-manual mode, rotate the shutter speed dial to any of the preset speed selection on the dial, then use the aperture ring on the camera lens to adjust the lens aperture to match the shutter speed you set, or do it vice versa, that is by pre-setting the aperture opening on the lens and adjusting the shutter speed to match. The AE Lock of the X-700 requires a two-fingered operation. Use your middle finger to press the AE Lock button, and your index finger to release the shutter. The X-700 requires 2 SR44 or LR44 cells to operate both the metering and shutter system. The best part of using the camera was its simplicity of use, with the Programmed AE mode, which you can sum it up to be as easy as any focus-and-shoot camera that you have out there. With a camera body weight of only 505 grams, the X-700 is no strain at all either in the hands or on your neck. 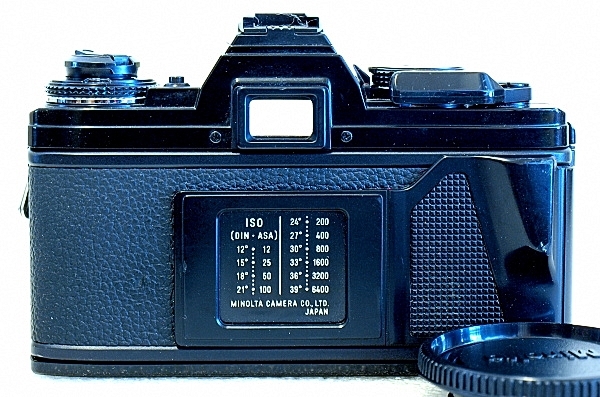 What I like most about the camera is the reassuring sound of its mirror flap and shutter actuation, which is neither loud or clinky, but rather a much softer and well-damped swish and clunk, reminiscent of all other Minolta X-series camera that I have used. The X-700 has everything you had wished in a camera of that ers - TTL metering, depth of field preview, exposure compensation dial, self-timer, exposure lock, film safe-load indicator, frame counter, film memo holder, hot shoe, PC socket, remote shutter release ports, and more. Best of course in the MPS (Minolta Program System) with its exceptional light-metering system, intelligent microcomputers, and step-less shutter speeds. While using the camera in its Programmed AE mode is about as effortless and effective as with any camera of any era, with the MPS being capable of selecting shutter speeds in finer increments that can be selected manually. For the frame-and-shoot enthusiasts, the X-700 will always give you perfect exposures every time. It is one of the best frame-and-shoot cameras ever, an opinion that is fully supported by countless users and photo enthusiasts. For the budget-conscious shooter, however, there are also the follow-ups X-500 (X-570 in the US) and X-300 (X-370 in the US). Though quite capable, the lower price points mean that they do not come with the Program shooting mode, while the X-300 has further cuts and comes without TTL flash metering and viewfinder perks. The X-700 stayed in continuous production until the beginning of 2001.